Reduced price! € 40.00 tax incl. Forget About Tricky Light Schedules and Stocking Up On Growing Supplies, Our Autoflower Bundle Pack Will Tick All The Boxes! Get your hands on our Autoflowering Bundle Pack, it's got everything you need to get your plants off to a great start and keep them healthy all the way up to flowering. The autoflowering seeds in this pack mean you don't need to worry about difficult light schedules. Use this pack to enjoy a truly hassle-free growing experience. A powerfully tasty and stable Autoflower strain from the famed OG Kush. A high yielding and potent indica that's super easy to grow, even novices can expect some serious OG Kush goodness. Dissolve the Zambeza Supremix in a litre of water and soak the pots with it. Drain off any excess and plant a seed in each hole 5-10mm deep. It's simple as that, and the tray fits perfectly into the Micro Propagator! Our useful propagator has a buil-in LED light, perlite and a thermometer so that you can easily provide the best conditions to germinate your seeds.With this propagator you can provide consistent, regulated conditions for optimum results. Perfect for small-grows and beginners. 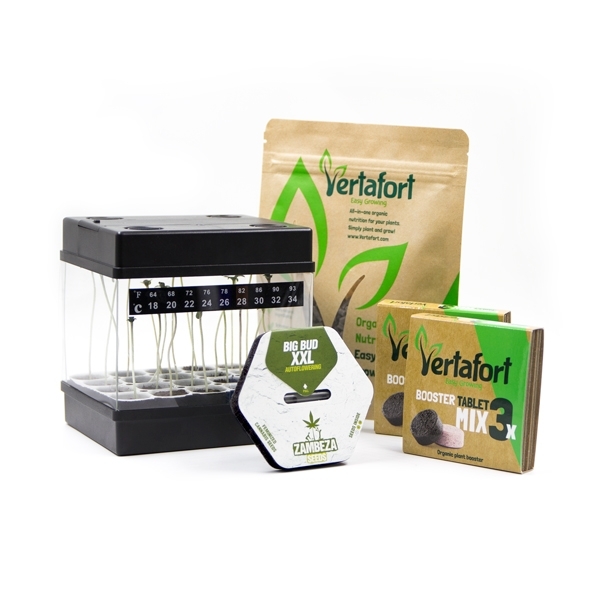 No need for confusing nutrient schedules, Vertafort is packed with time-release technology to feed your plant and keep it strong and healthy for 10-12 weeks. It's completely natural and organic and can boost the growth rate of your plants with very little effort. 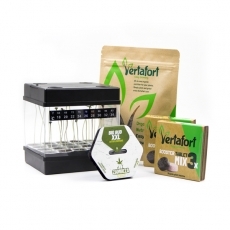 Simply mix the Vertafort substrate and watch your plant thrive! Use this growth booster to get the best nutrient intake throughout your vegetative phase, these booster tablets contain an integrated set of boosters to provide all of the necessary macro and microelements. All the nutrients your plant needs for a hefty harvest!